USAID/Colombia’s Land and Rural Development Program (LRDP) is a five-year task order, initiated at the end of July 2013, under the Strengthening Tenure and Resource Rights (STARR) Indefinite Quantity Contract. 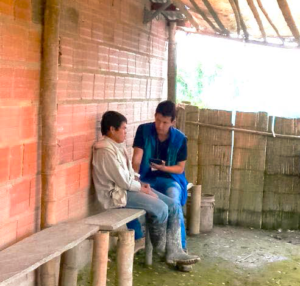 As a part of the transition into a post-conflict society, LRDP was designed as an institutional strengthening initiative to help the Government of Colombia (GoC) improve its ability to resolve complex land and rural development issues through addressing institutional bottlenecks across four program components: restitution, formalization, rural development, and information management. LRDP also works with the GoC to ensure that the needs of vulnerable populations such as women and ethnic minorities are met. The Mid-Term PE LRDP measures outcomes at the government and household levels using two primary sources of quantitative data and two qualitative data, collected from 50 municipalities. 65 key informant interviews with implementing partners, GoC representatives, et al. Restitution efforts show solid evidence of LRU institutional strengthening. Stakeholders and key informants strongly agreed that the technical assistance and direct resources invested were valuable. Key informants also highlighted the special attention LRDP has drawn to gender and ethnic minorities, although some focus group discussions noted frustration over lack of communication with the LRU and challenges related to collective restitution. Although FGDs highlight that institutional trust still needs improvement, there is also evidence that citizens perceive improved efficiency and fairness in the Colombian institutions that govern the land restitution process. Formalization has been most challenging program component to implement. Evidence is limited on institutional strengthening, however, there are some important projects worth highlighting such as the establishment of the Land Offices in Ovejas and Santander de Quilichao. Also, the Tolima formalization program in Chaparral was noted as being highly successful in supporting women in the formalization process. At the household level, although institutional mistrust and lack of communication about land titling efforts still exists, particularly related to collective territories, there is some evidence of increased citizens’ awareness of individual land rights across programming areas. Rural development efforts show the most visible progress in facilitating the creation of private-public partnerships (PPPs) and assisting municipal governments in drafting and implementing development plans. There is evidence of institutional strengthening across producer associations, who report improvement in organizational skills and greater access to financial institutions. There is also evidence of greater PPP participation in LRDP programming communities although there is still fear and mistrust of rural development government activities stemming from past experiences with inconsistent technical assistance and lack of communication. LRDP’s role as the initial coordinator, but not as a partner in PPPs, renders these partnerships highly sustainable, although some challenges remain. Information management is still in progress of implementation, but LRDP has produced improvements in land-related information management systems, the Land Restitution Registry system, procedures through the support of digitization efforts, the design of the Land Node, and promotion of cooperation across institutions. The clearest effect to date is increasing internal and inter-institutional coordination surrounding land records and other information between different land entities, which is critical to improving the efficiency of land restitution and the land formalization processes.